This breakfast was so simple to make and SCRUMPTIOUS! Every Sunday I make my No Sugar Added Granola to have on hand for the week. 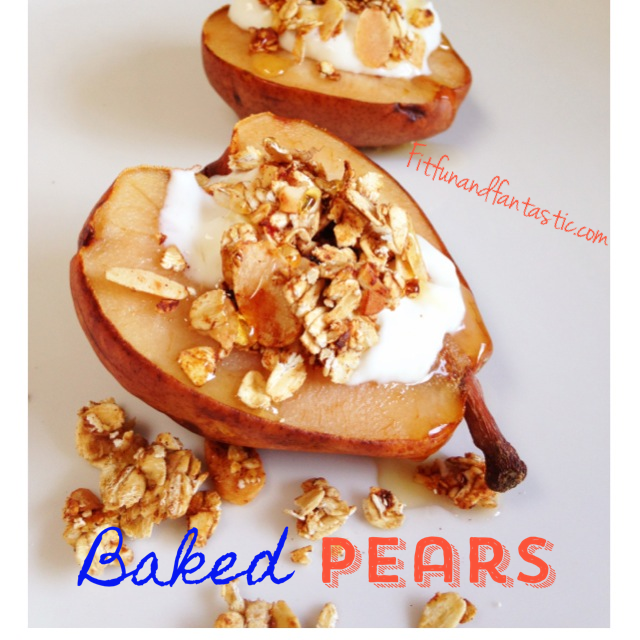 These baked pears tasted perfect with it! Cut the pear in half. On a baking sheet covered in tinfoil place the pear halves with the cut side up. Bake for 20-30 minutes until pear is soft and it starts to juice. Top with non fat greek yogurt, granola, and honey! DEVOUR! 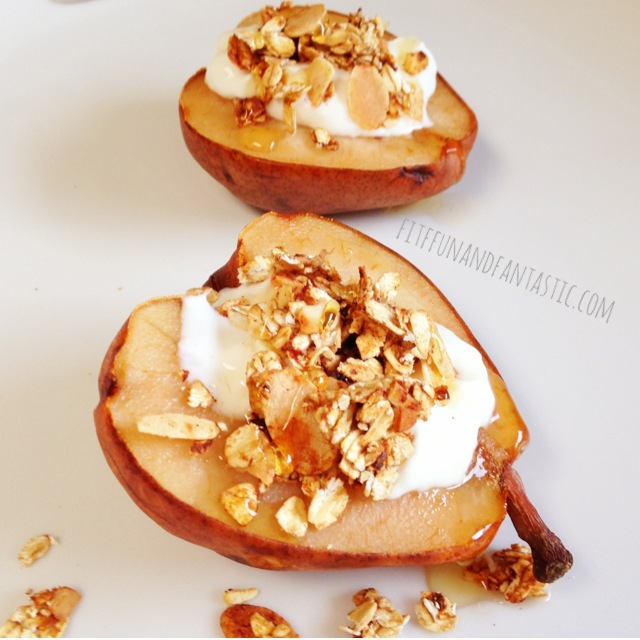 0 Responses to "Baked Pears"
Looks soooooo yummy! I must try!